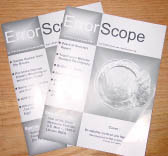 A subscription to the club’s award-winning journal Errorscope, published six times a year, is available when you join and become a member. Please go to our Join or Renew page if you are not already a member and wish to get our publication. If you are a member and interested in submitting articles for publication please see the guidelines below. If you need to send only a paper copy of your article, please try to send typed copy that is clearly readable. A legible handwritten copy is also acceptable. Send scanned photo files or actual photos with your material. Do not send a printout or photocopy of a photo as these cannot be used in the ERRORSCOPE. Please contact Allan before sending any material to obtain a valid shipping/mailing address. When taking photos to accompany your material, use a background of a contrasting shade (i.e., light background for a Lincoln cent, dark background for a Jefferson nickel). 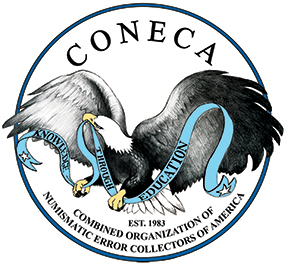 Note to authors/publishers: CONECA is also interested in publishing news releases highlighting current stories published elsewhere that are associated with error-variety coins and/or the minting process. Interested authors/publishers are encouraged to email an abstract along with a photo(s) and details of when and where the article was published to the CONECA webmaster at: webservices@conecaonline.org Only email submissions will be considered. 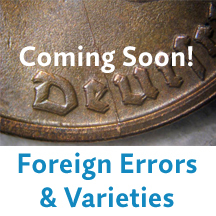 The Errorscope accepts buy, sell, and trade ads for all coinage and numismaticrelated items. 4¢ per word is charged, limited to 75 words, with name & address being free. CONECA assumes no responsibility for content of ads. Advertisers selling items must extend a 14-day return privilege. All copy for ads must be in the hands of the Ad Manager by the 15th of the month, two months prior to the month in which the ad will appear. 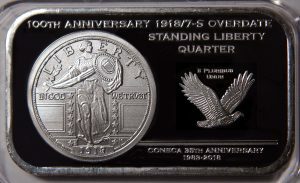 CONECA reserves the right to reject any ads which are controversial, contain counterfeit or altered coins, or are submitted by any dealer who does not adhere to good business practices.